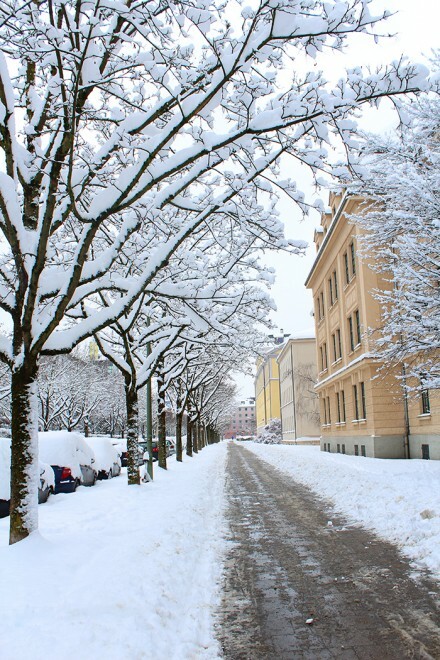 How amazing it is to see the leafs and the snow fall, to be able to enjoy a barbecue in the summer and contemplate the colourful flowers around the city. Every season, every year, nature finds a way to impress me. The city is awaken, there are bikes everywhere, the sidewalks are filled with tables and chairs where people enjoy a drink or two, the gardens are colourful and inviting, surfers at the Eisbach are surfing as never. Summer festivals take place, including Tollwood at the Olympic Park, and dogs are seen swimming at the park’s rivers/lakes. Some days are rainy, others are so hot that all you want is to jump in the water and cool down, but not before having a beer or a spritz. 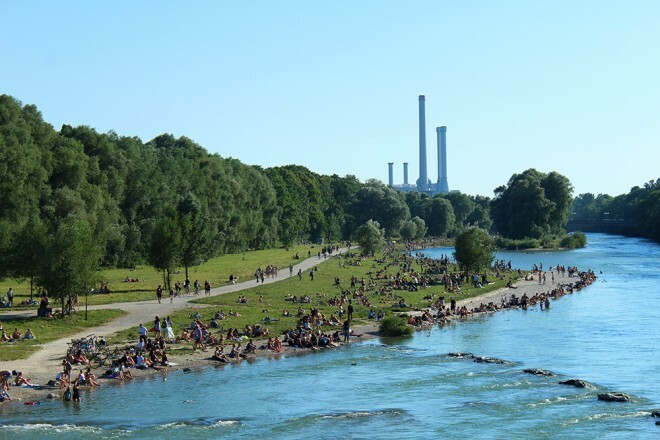 It’s also time high season of barbecue, at home, by the Isar or anywhere where it’s allowed! But hot days in Munich are rare, in some years even more, while in others they might last long. Either way, it’s better to enjoy, because soon will be cold once again! My favourite season. In my opinion, the most colourful and serene. 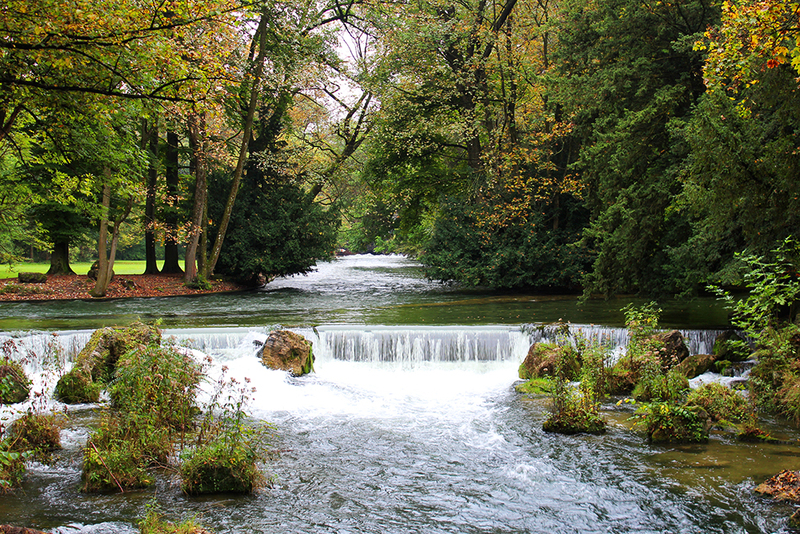 Oh, how I love the smell of fall in Munich, all the leafs on the streets and parks, and the chilly weather. Even the way we dress looks better, feels better. It feels like a fresh summer, even though the days are getting darker and everyone is already thinking of the cold winter. 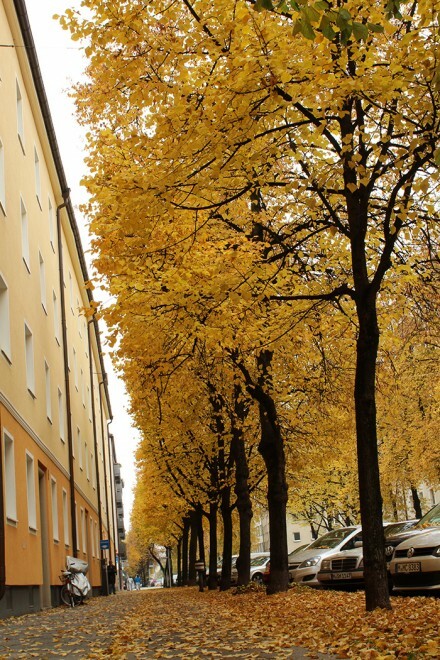 For me, fall in Munich means it’s time for amazing pictures, to enjoy the most of the weather because it’s going to get ugly some time soon. 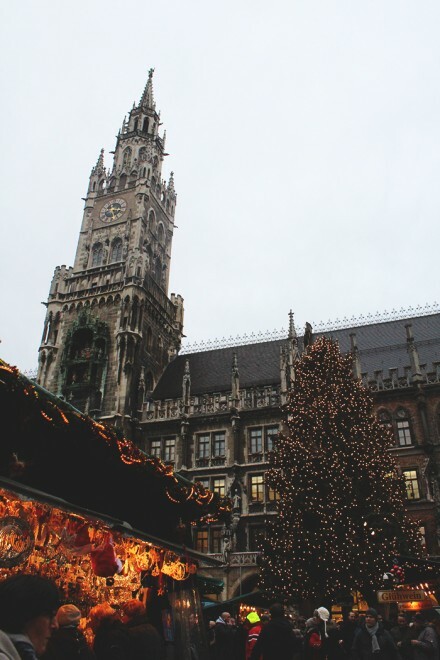 It’s time to think of Christmas and Christmas Markets. Dark, cold, but also white. 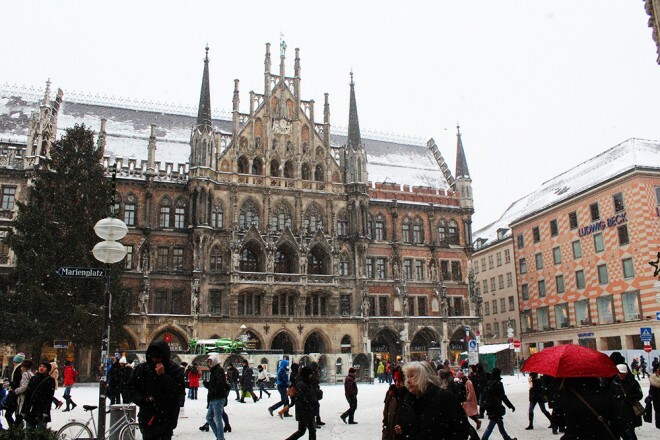 How stunning it is to see Munich covered by snow, it looks like a totally different town. It’s the season to have glühwein, eat some gebrannte mandeln, hide under the covers and see a movie, at home at the cinema. 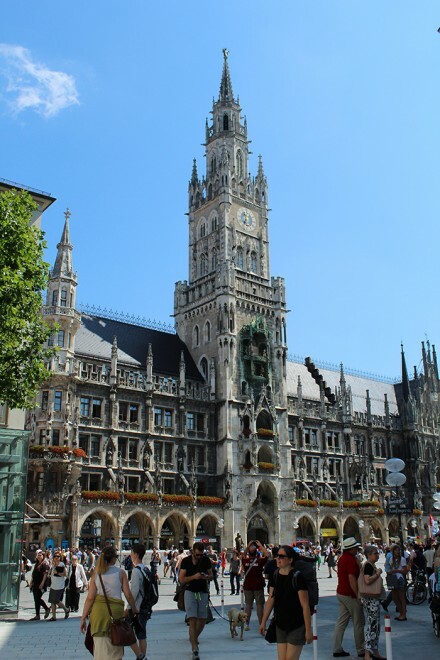 It’s time to visit the Christmas Markets, go for some shopping at the old town, and to spot Christmas decoration, including the huge tree put up every year at Marienplatz. January and February are the coldest. Not every year it’s possible to have a white Christmas, and New Year’s Eve is cold and foggy. Still, it is pretty to see the snow fall, and play with it. The craziest season. It can rain and snow, it can be cold and hot, especially in April, as the Germans say: “April macht was er will”, or April does what it wants! But all is forgiven when the flowers bloom and the more hours of daylight are added to that. 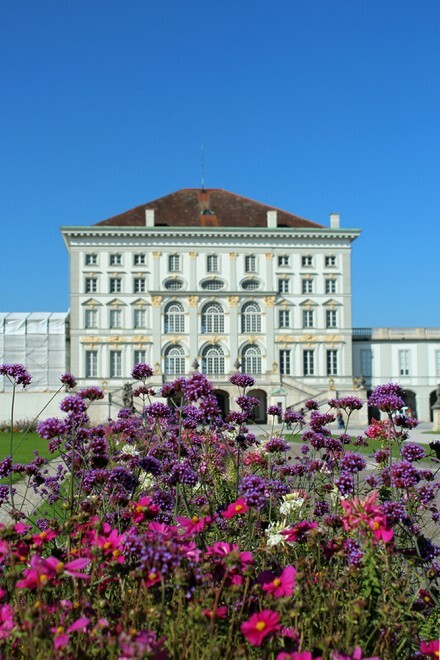 Festivals are common and everyone is getting excited once again for the warmer days of summer. 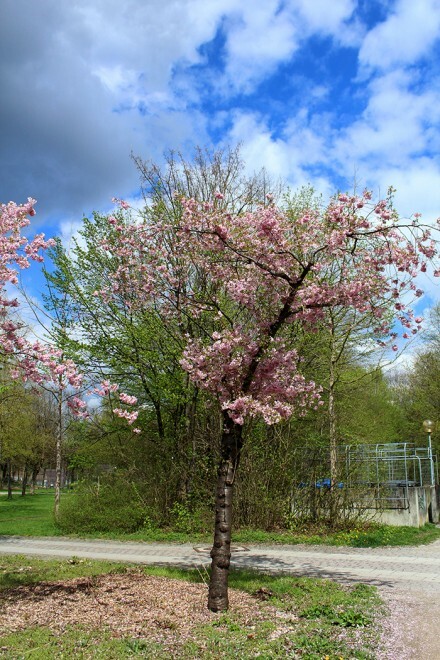 How is your city like during the 4 seasons of the year? This is awesome Allane…so much of beauty in nature, indeed seen and experienced to be believed and you are able to cherish every part of that wonderful beauty of nature that comes in different hues. Seasons are a fascinating representation of that beauty. All are not equally lucky to get all the four seasons with equal fervor…most places I presume two seasons dominates and in my place is more of summer and rainy, not much winter or spring in the region I stay. 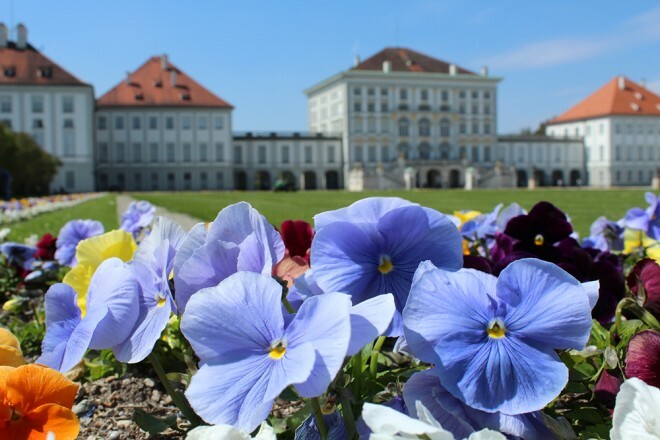 But I agree it is magical to be part of the spring and the scattered leaves, the warmth in the nature, nurturing our senses…you love to be out there and embracing the beauty and bounty of nature. I loved the picture where everybody enjoying a dip in the river side and the last picture where the isolated tree standing in grandeur in the backdrop of lovely sky. So true Nihar! I have noticed the changes in climate in the past years, and it’s a bad thing. Very sad that we humans don’t appreciate it and take care of nature properly. I hope one day this will change. Thank you sooo much! So happy to know that you liked it. Sorry for the late reply, it was hard to keep up with everything while traveling. 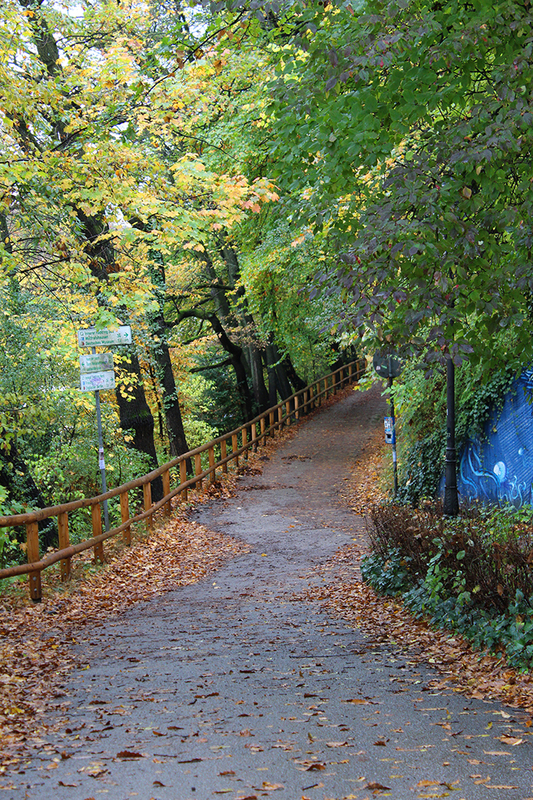 My city (Athens) is pretty much the same during all seasons, as most trees are evergreens! During mid May though Jacarandas bloom and they are so beautiful! 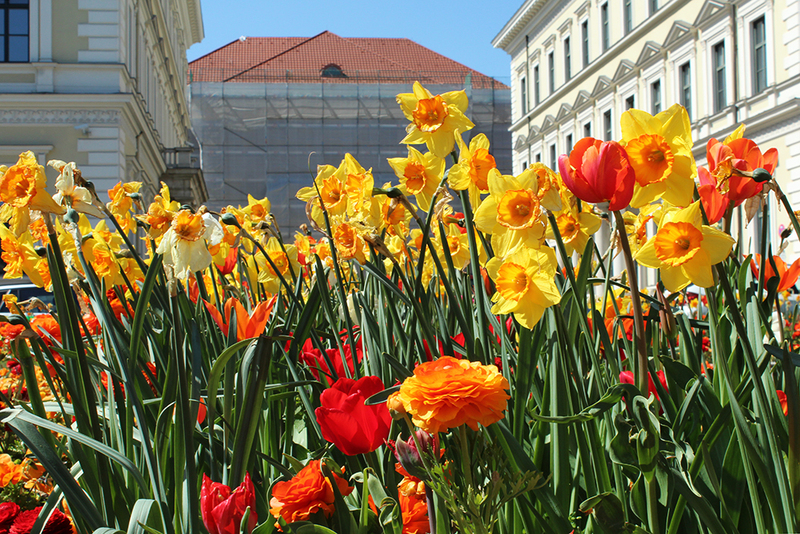 I’ve visited Munich during spring and I loved it! I bet it is also beautiful in Christmastime. Ahh in a way I envy for having a great weather in Athens most of the year. I’d love to see the Jacarandas <3 actually I would love to finally go to Greece, fingers crossed next year will work out!! Thank you so much <3 Happy to know that! I hope you enjoy winter in your new town! Really??? I have to check this post of yours! I love the definition of the seasons too, but in all honesty, while I like a few days of snow every winter I’d rather the sort of winter we get on the French Riviera – sunny, bright and mild, because mostly winter in northern Europe is not picture-book perfect snowy scenes but cold, grey and damp! 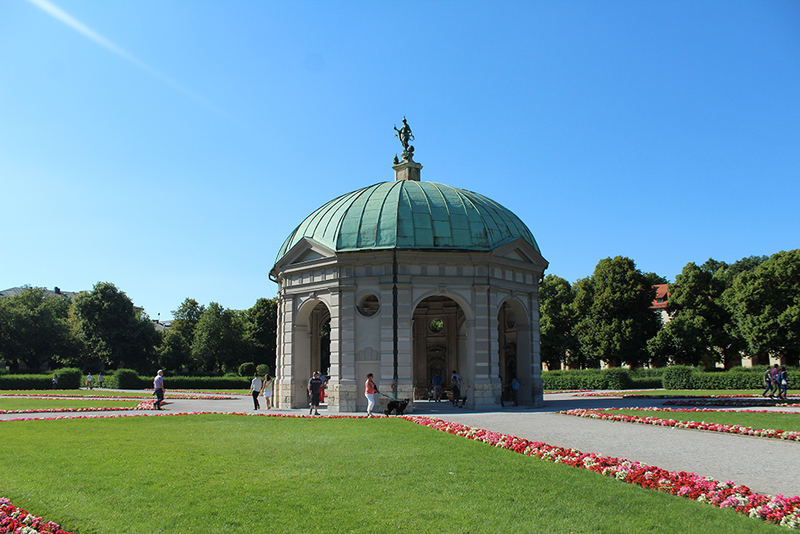 My one day in Munich this year was HOT HOT HOT! I would like to see the Christmas markets especially if I could guarantee snow. Ohh I hope you can come to Munich to see the Christmas Markets sometime, but I have to be honest and say that snow is a bit rare at this time of year. It can happen of course, but it’s only common after Christmas. I love your photographs! So lovely of all four seasons. In Texas, we have 2 weeks of Spring and 2weeks of Fall. The it is either really hot or really cold. Ha! I love observing the 4 seasons as in Brazil I didn't have that. 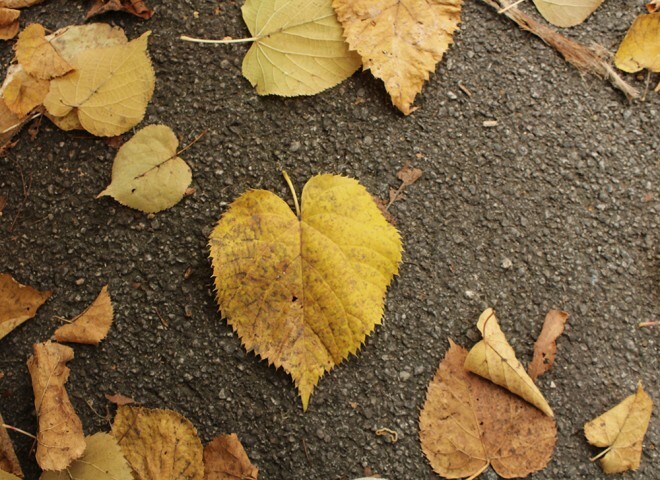 I can highly recommend summer and fall, just to make sure you will love it! If today I had to live in a country without the change of seasons I would be sad, I love it. I was in London recently and realized that, it rarely snows there right? Ohh my, really? It reminds me of Winnipeg in Canada. I lived there for 1 year and they also had the 4 seasons in one day, crazy!! You are right, so lucky to have the 4 seasons of the year! I have to agree with you that the autumn would be even better if there was no rain!! I also enjoy the snow!! Winter in Munich is pretty when snows, otherwise can be very dark though 🙁 that’s the problem I have with winter, the lack of daylight! Yes, all seasons are soo pretty, I really love seeing the change! Thank you dear, happy that you liked it! I don’t mind the cold, but I don’t like how dark it gets during winter. I love mainly notice the changes! Hi Stephanie! 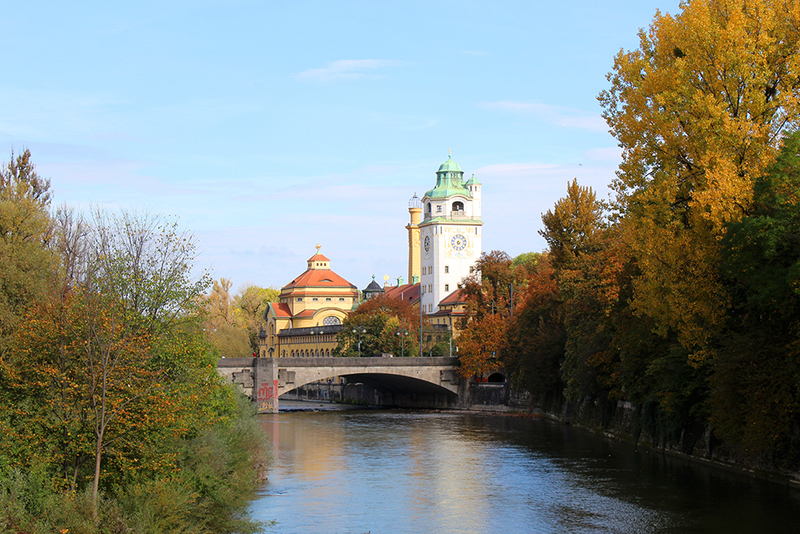 Yes, you should definitely visit Munich again, especially during fall. 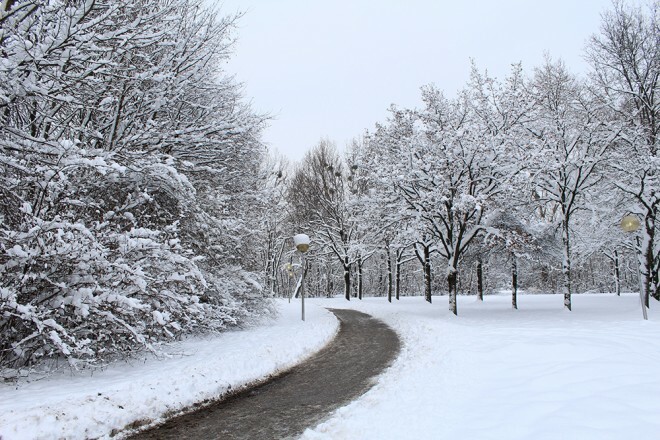 Winter really depends on you “snow luck”, in January and February is easier to snow than in December for example. Thank you dear 😀 glad you liked the photos! Ohh Melbourne must be such an amazing town, I hope to visit it someday! Let’s what happens this year!! Too much snow isn’t desirable, but a little bit of snow is a must, otherwise winter looks boring hahaha. woww!! Amazing 😀 I hope it all works out!! Thank you so much, it really makes me happy to know you like my posts and that they help you out somehow!